William Kittredge's stunning memoir is at once autobiography, a family chronicle, and a Westerner's settling of accounts with the land he grew up in. This is the story of a grandfather whose single-minded hunger for property won him a ranch the size of Delaware but estranged him from his family; of a father who farmed with tractors and drainage ditches but consorted with movie stars; and of Kittredge himself, who was raised by cowboys and saw them become obsolete, who floundered through three marriages, hard drinking, and madness before becoming a writer. 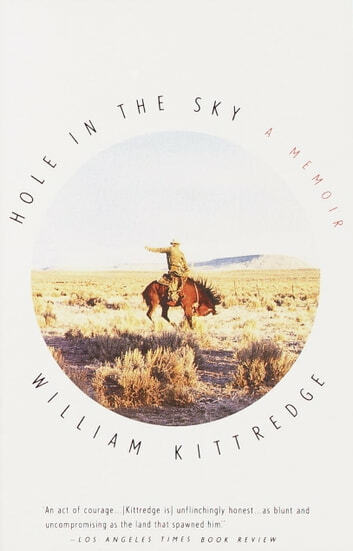 Host hauntingly, Hole in the Sky is an honest reckoning of the American myth that drove generations of Americans westward -- and what became of their dream after they reached the edge.